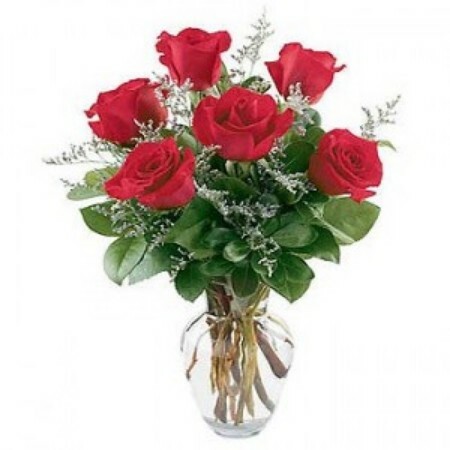 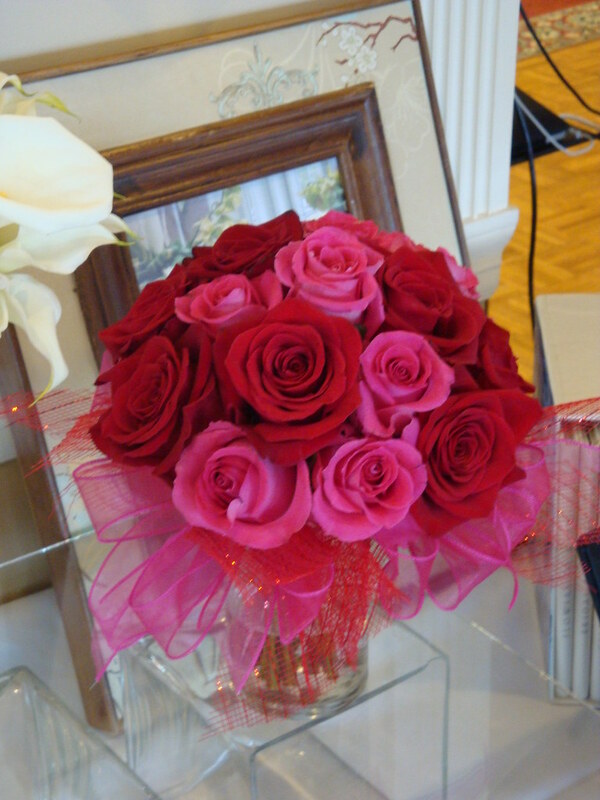 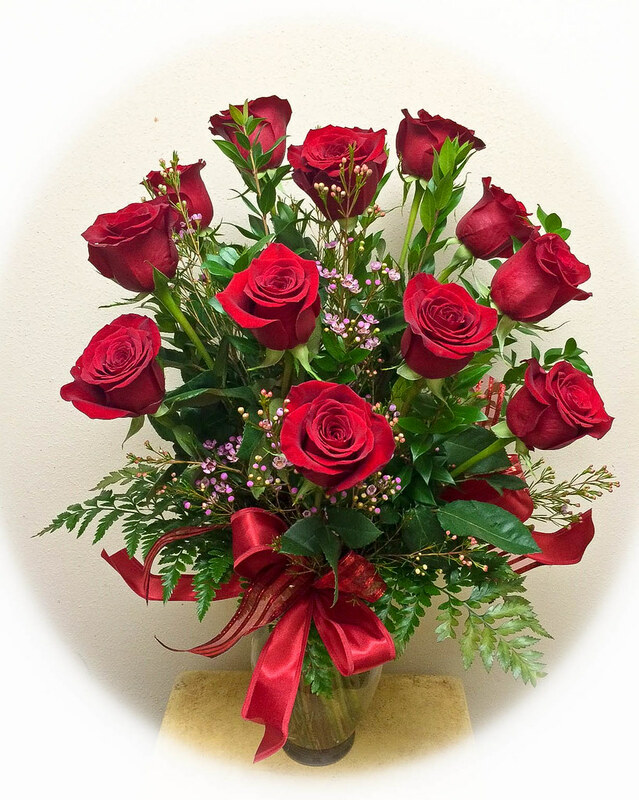 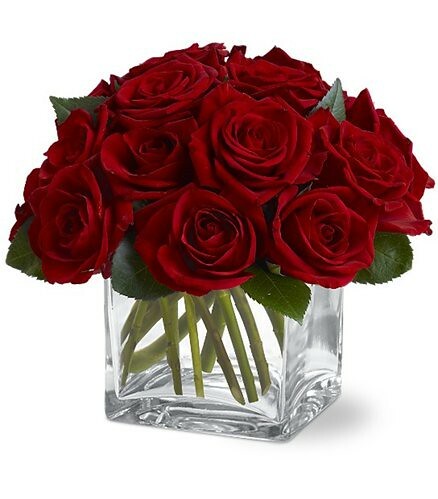 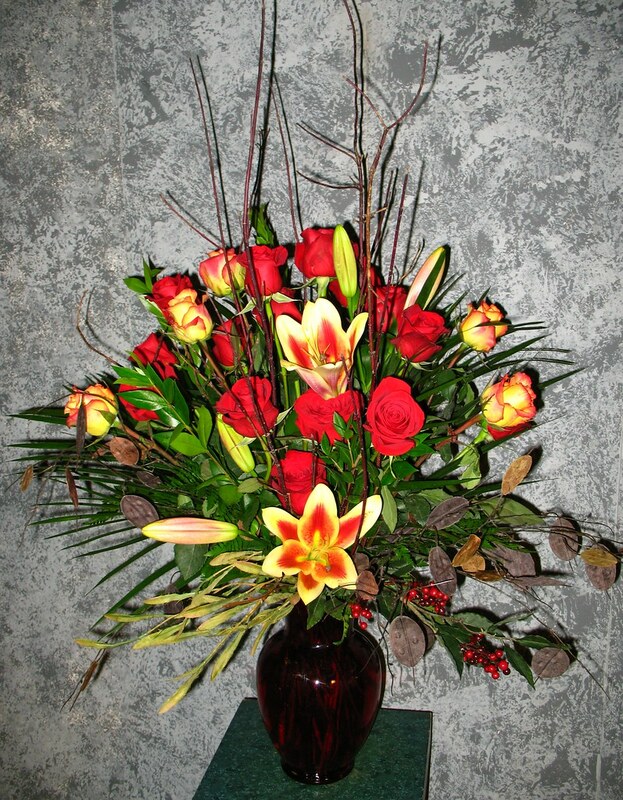 #06ED $200- 12 Red roses, 6 Konfetti roses, Lilies, dogwood branches, & silk foliage make up this beautiful display of fresh flowers. 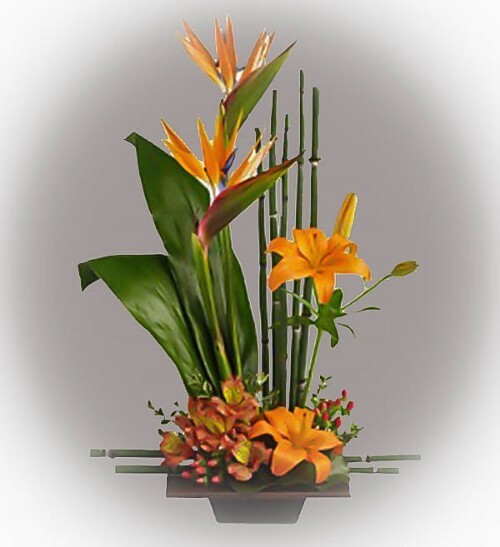 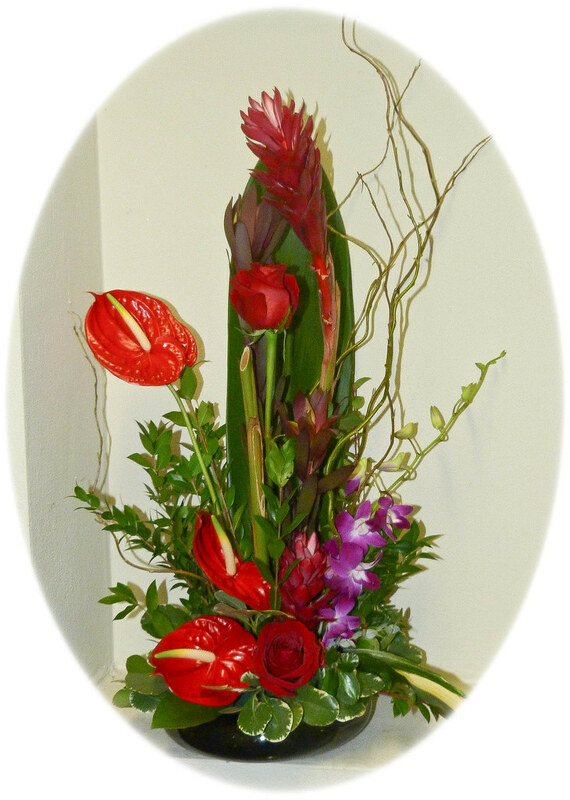 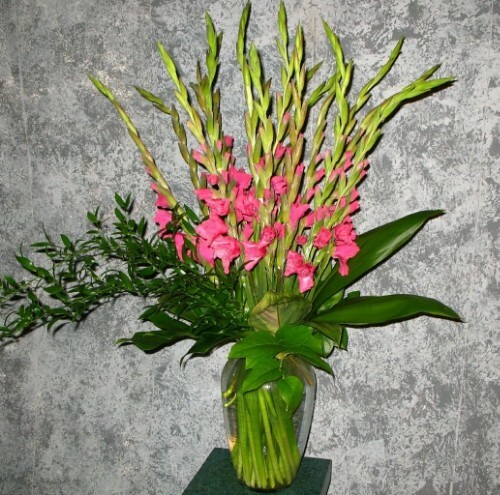 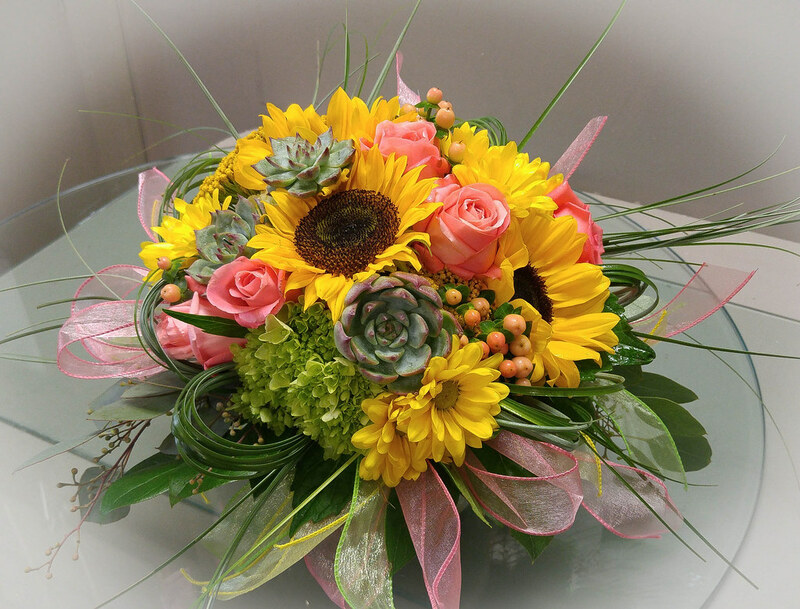 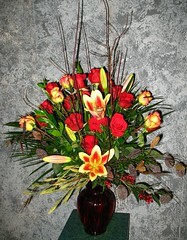 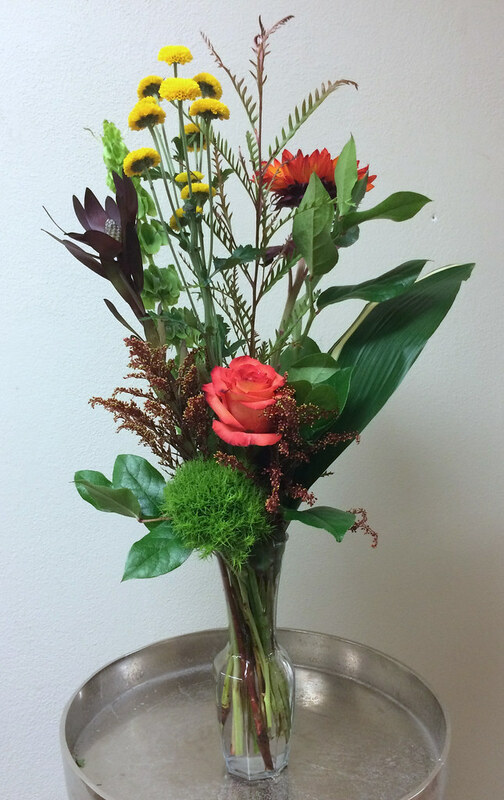 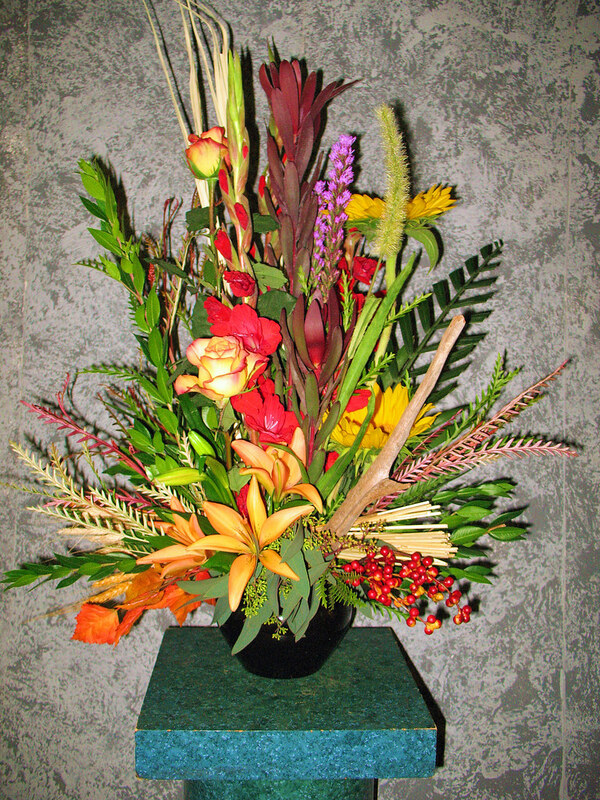 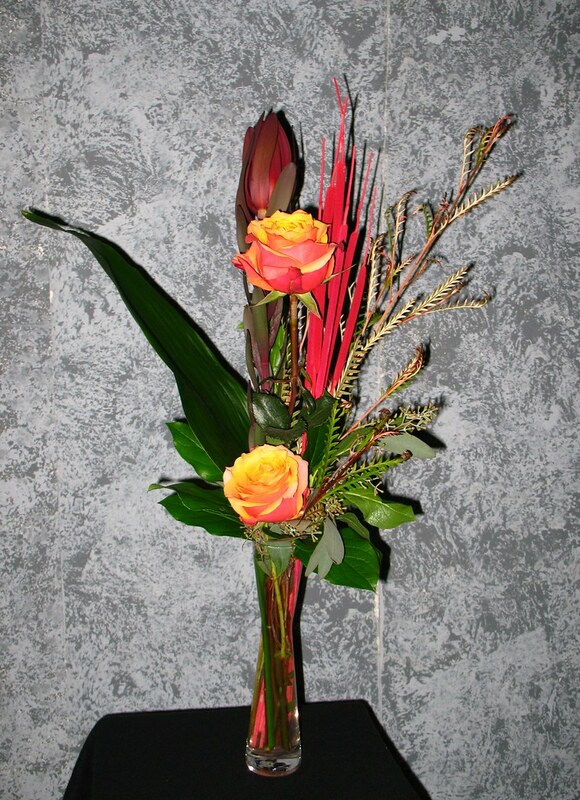 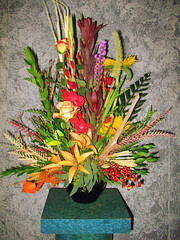 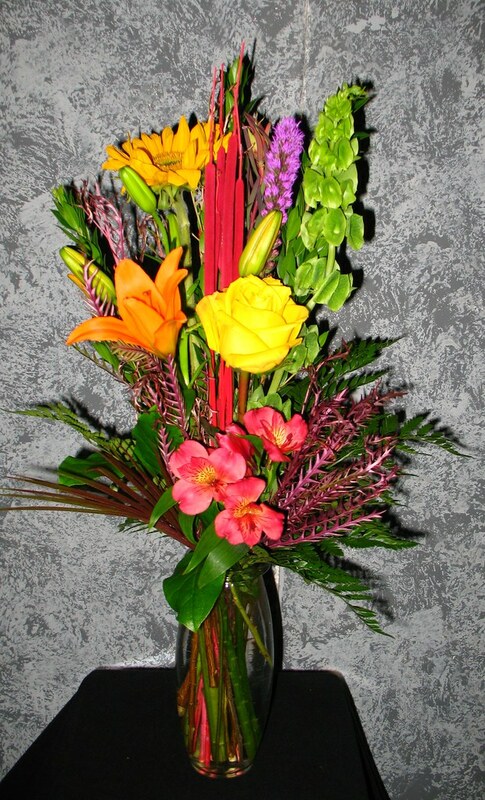 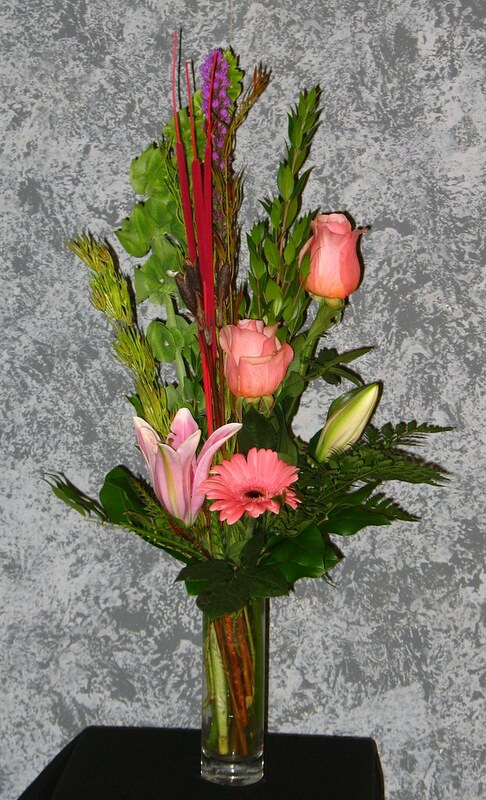 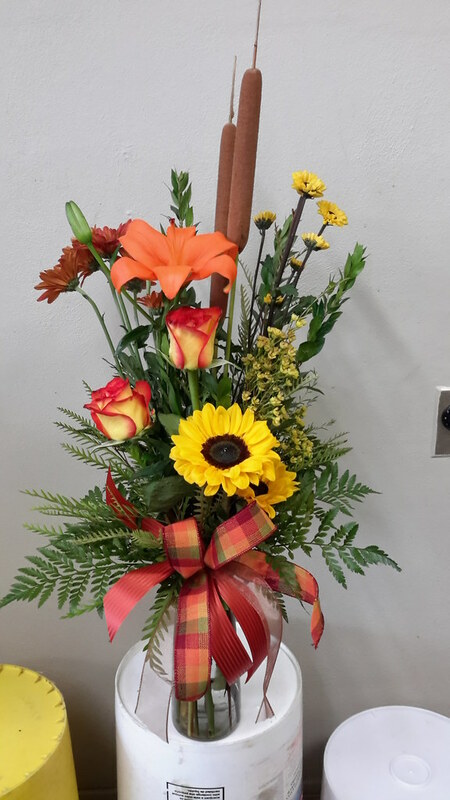 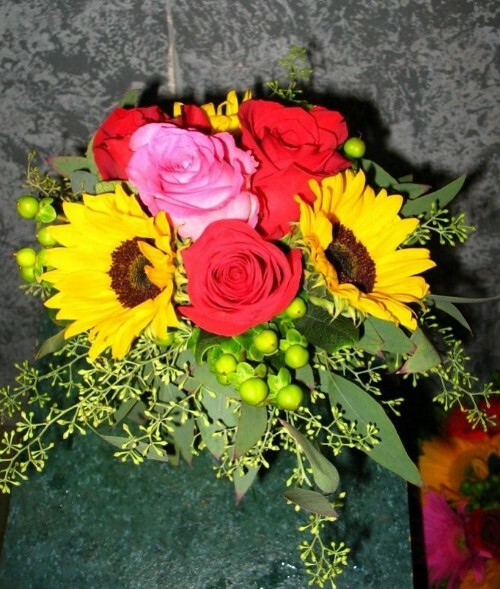 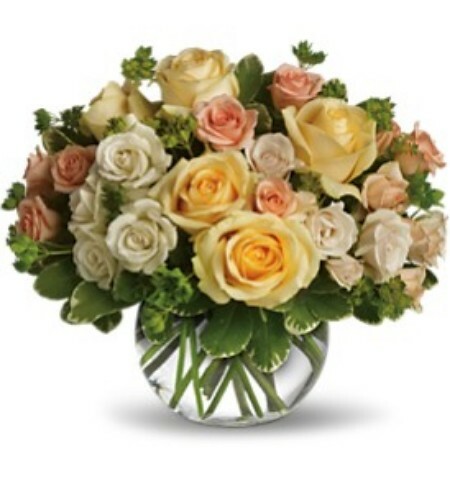 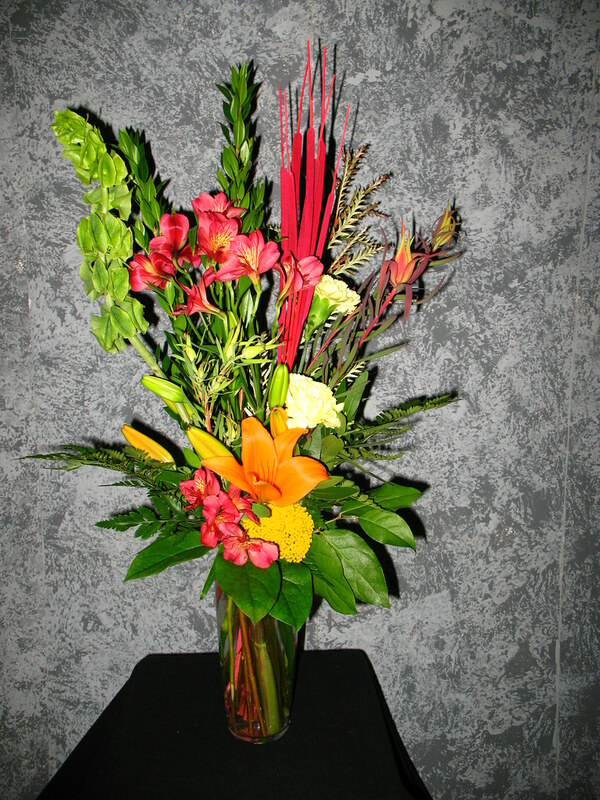 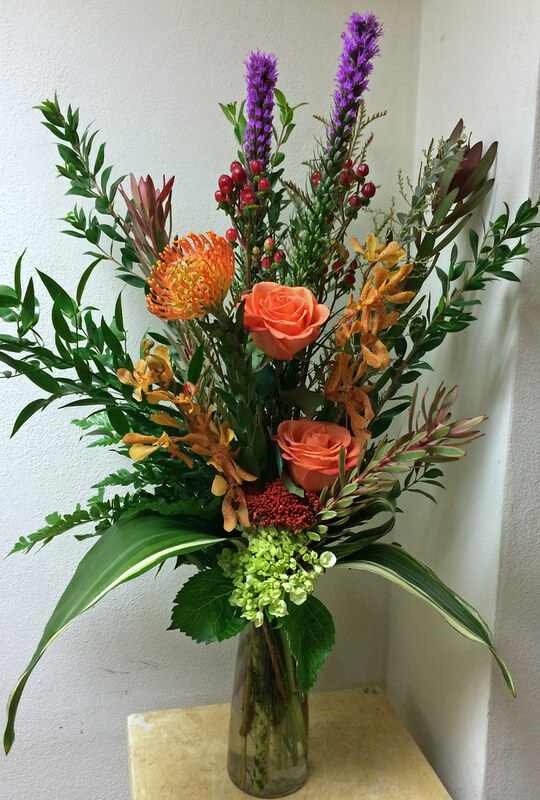 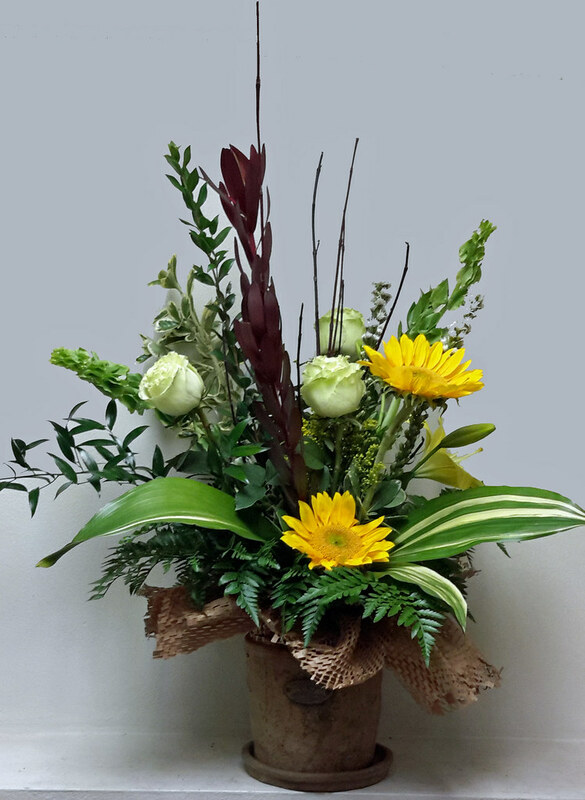 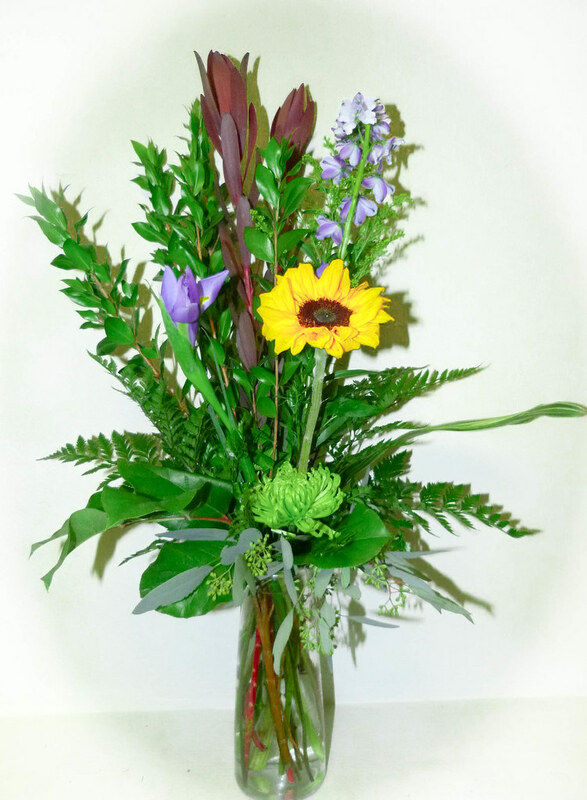 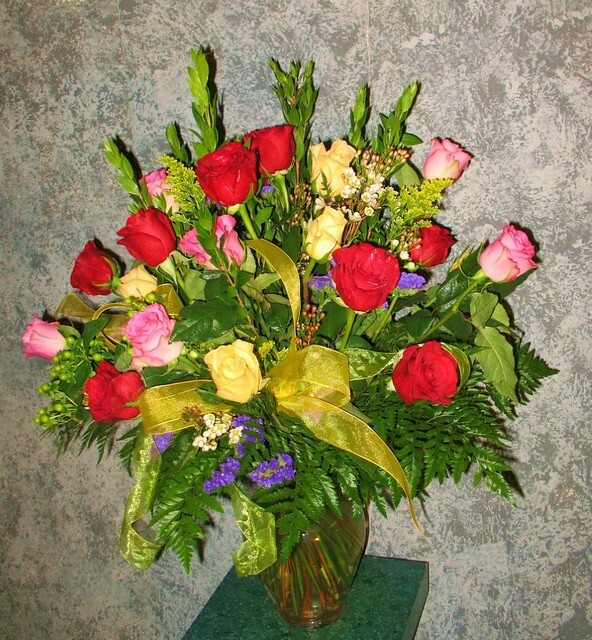 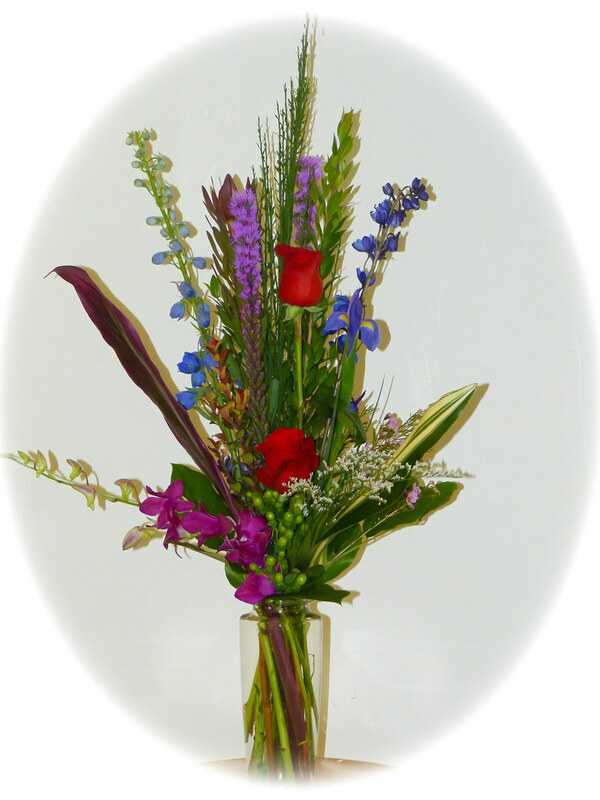 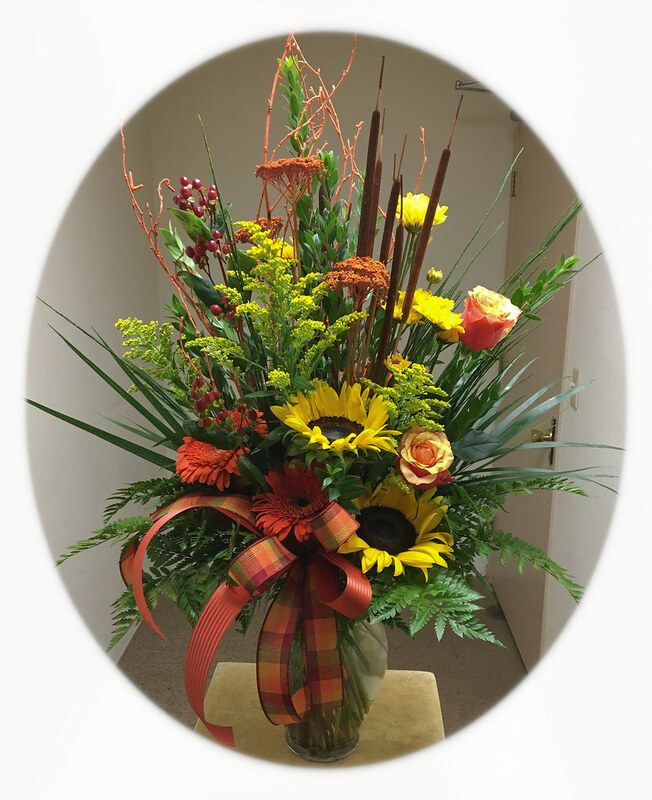 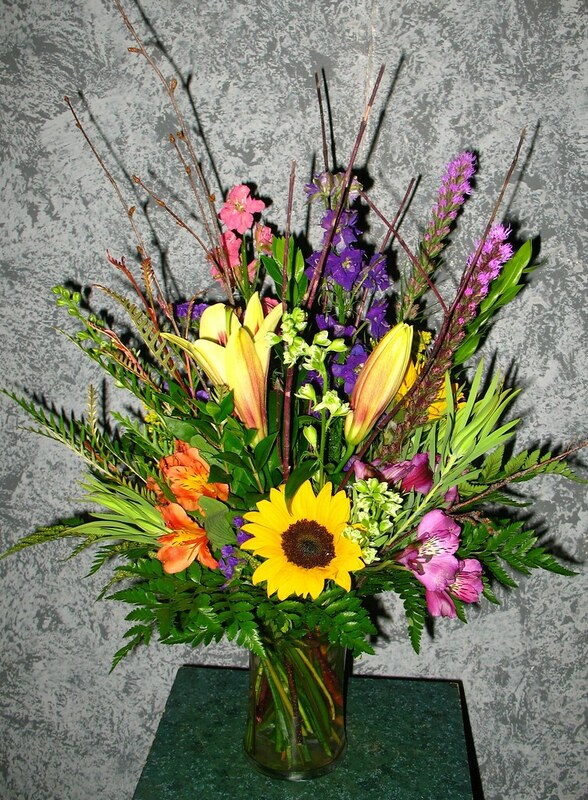 #05ED $100 as shown Stylized arrangement with roses, lucedendron, gladiolas, sunflowers, a variety of foliages, and berries. 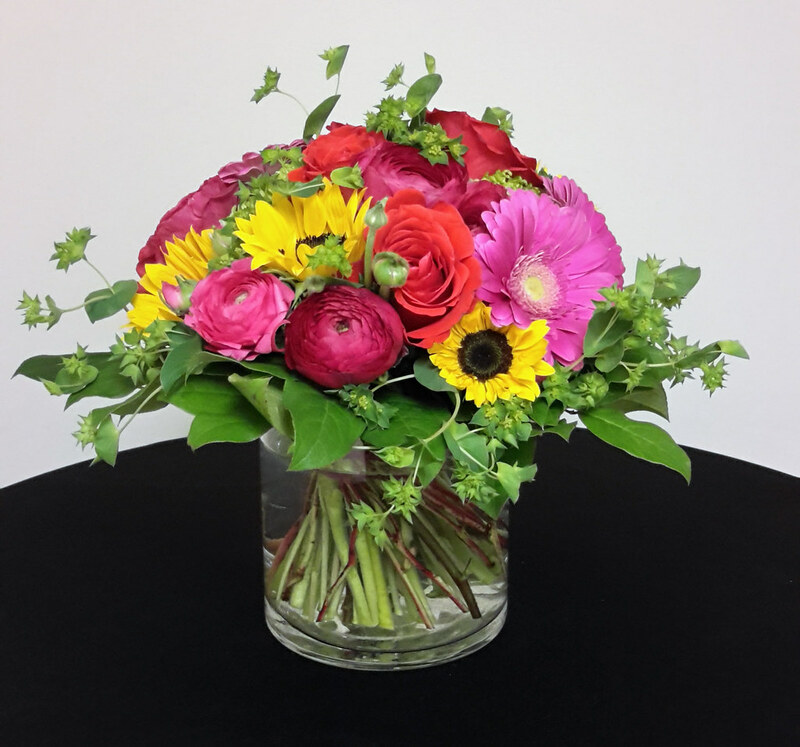 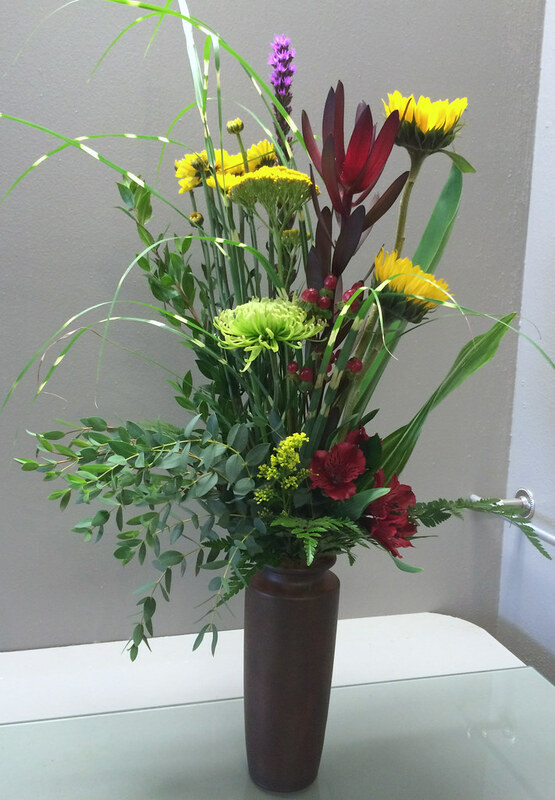 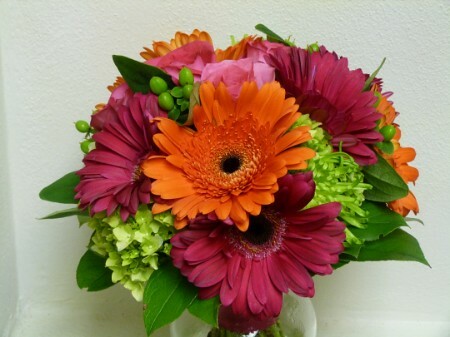 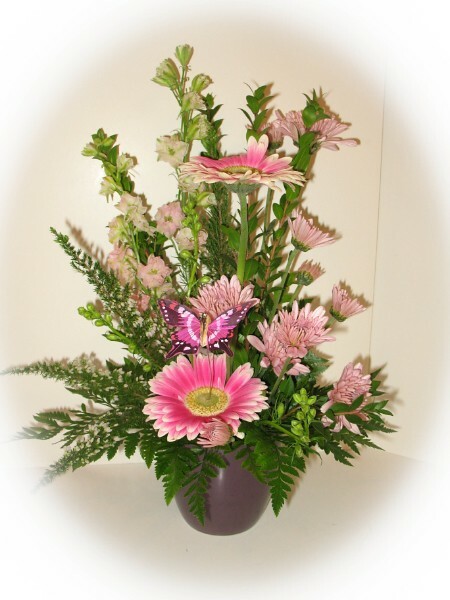 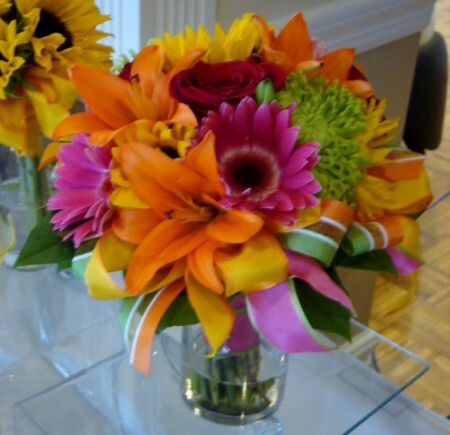 #41ED $150 Urn arrangement based with hydrangea, topped with a variety of gerbera daisies & bupleurum. 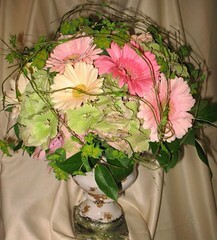 Wired branches create a shelter affect over the bouquet. 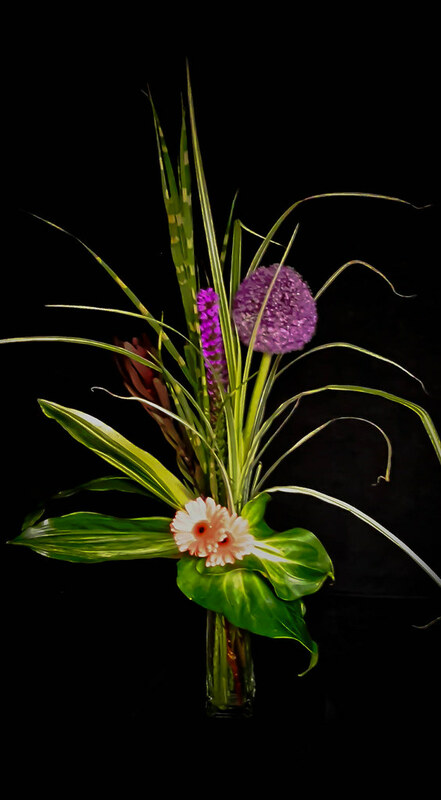 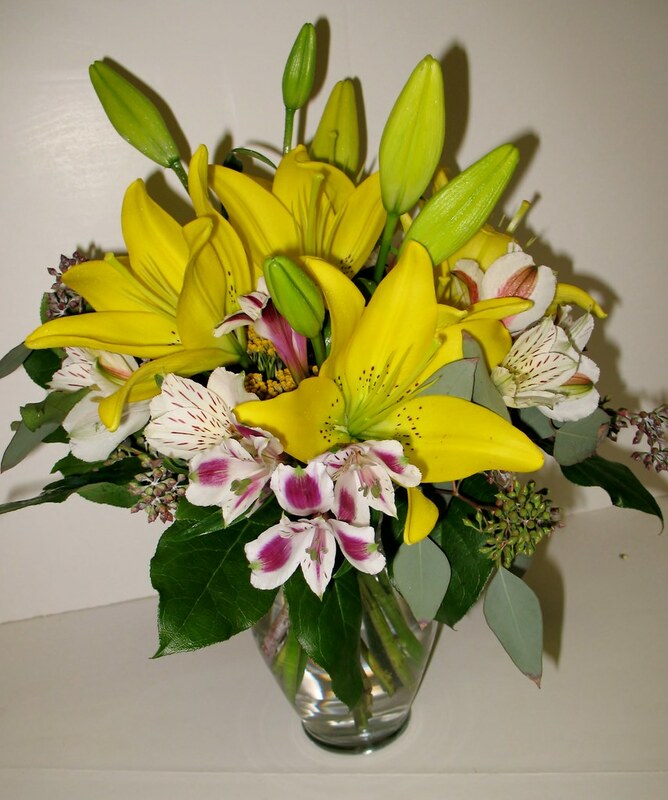 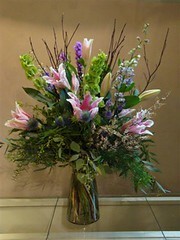 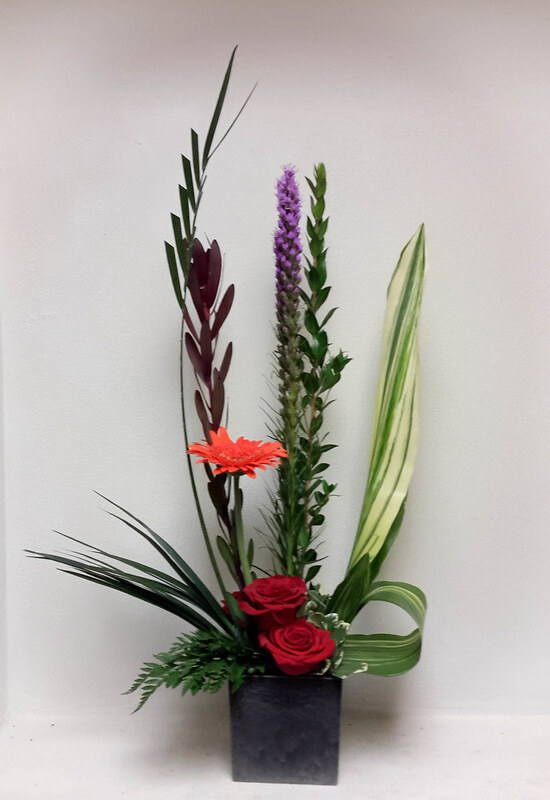 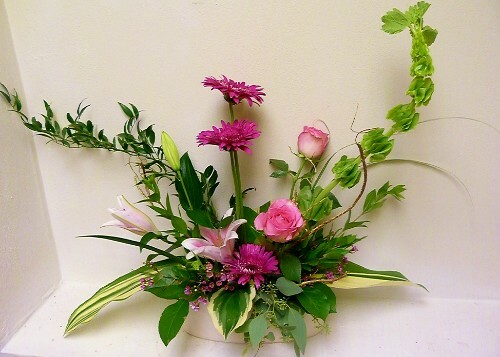 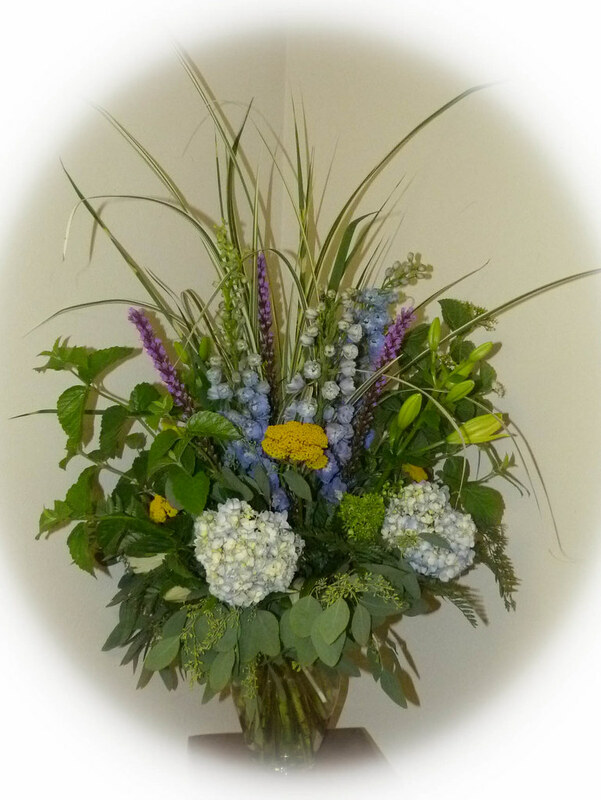 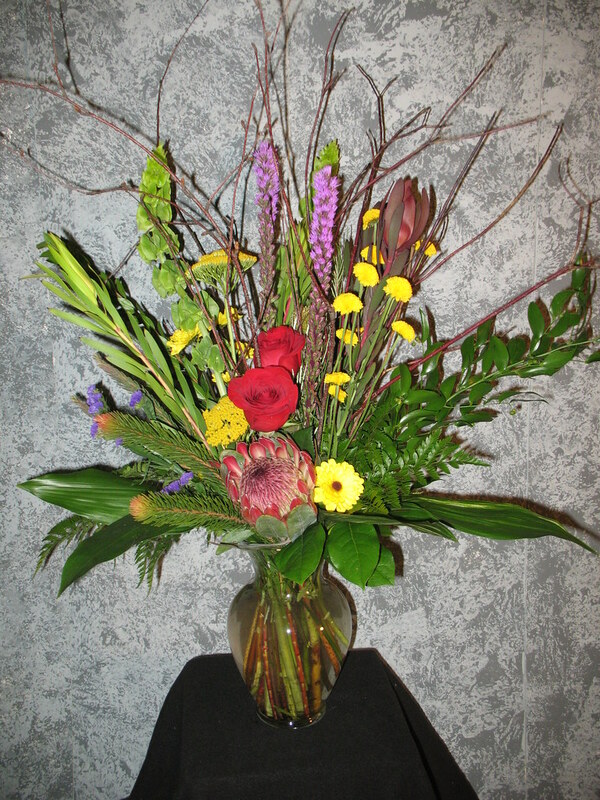 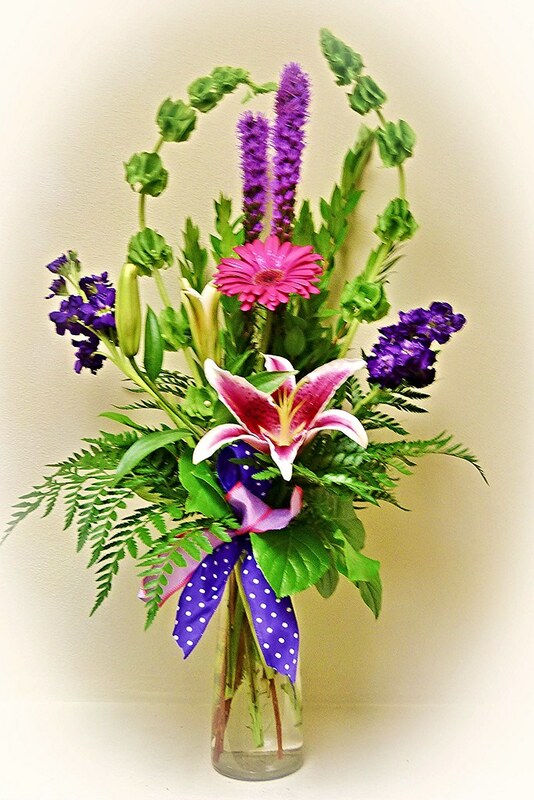 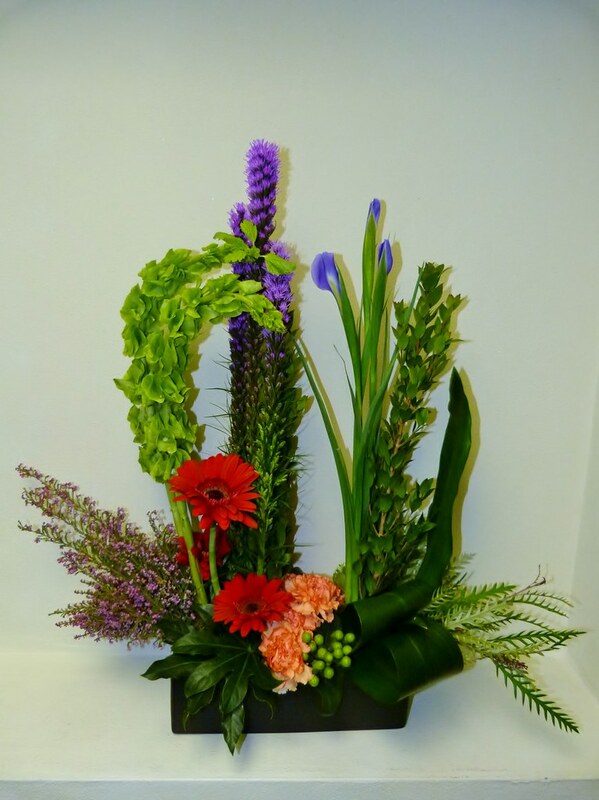 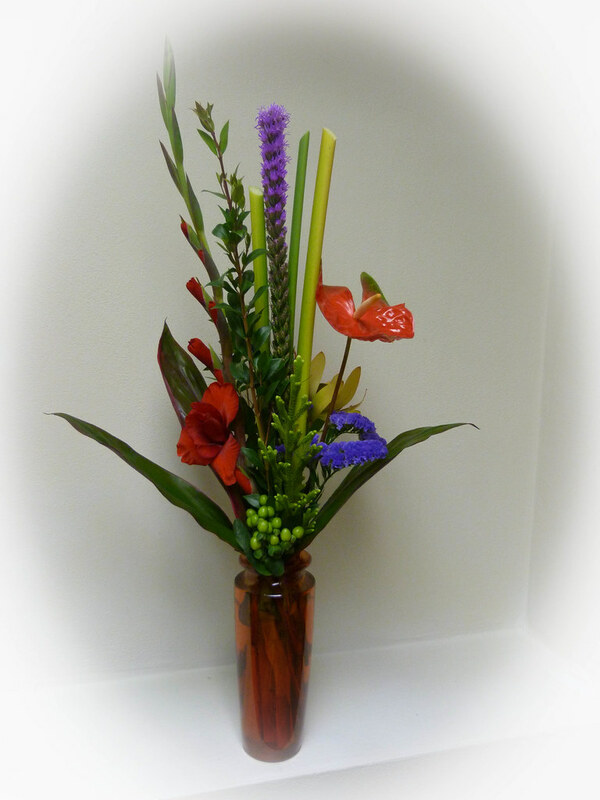 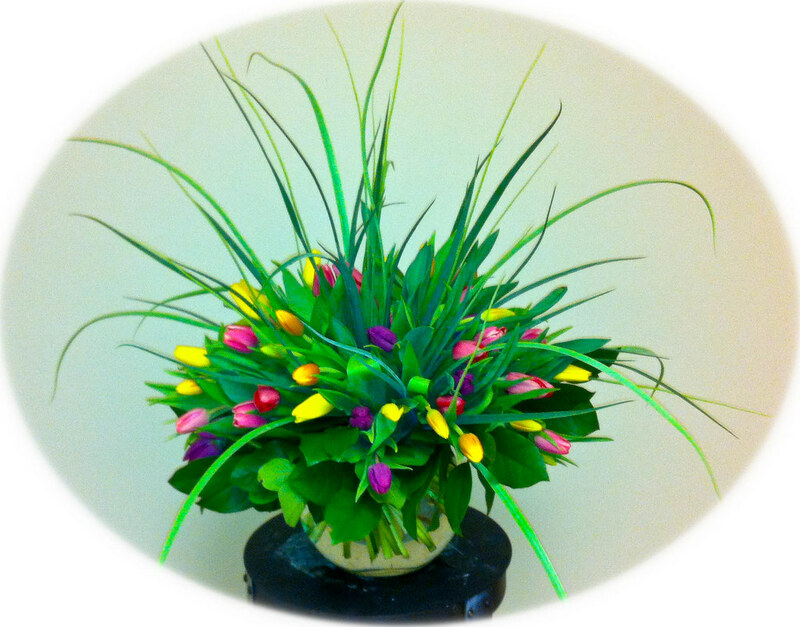 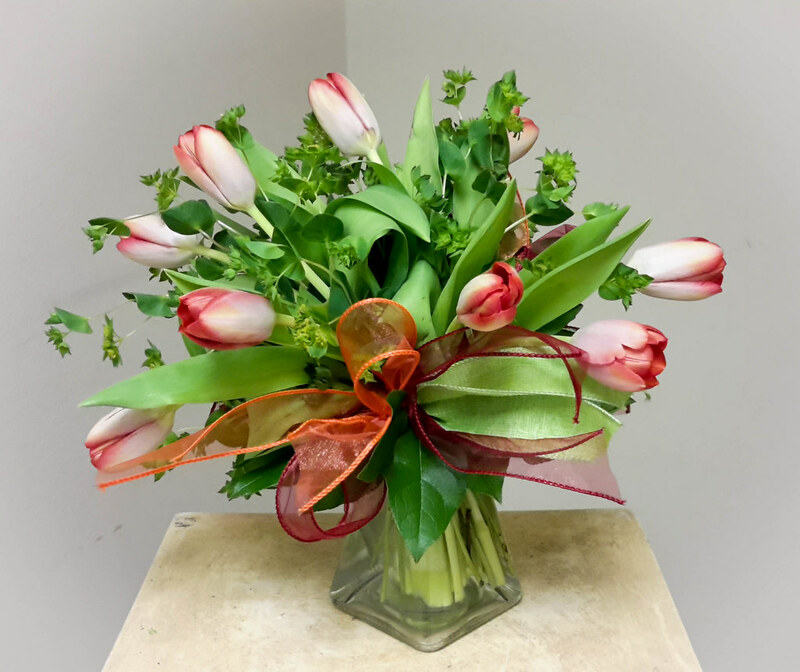 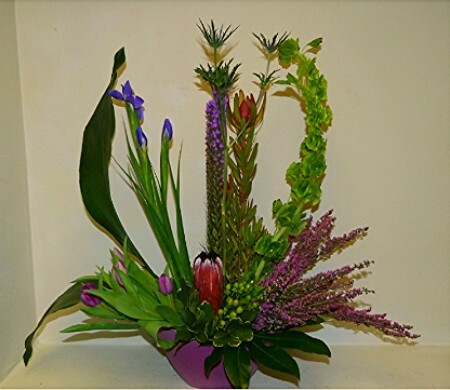 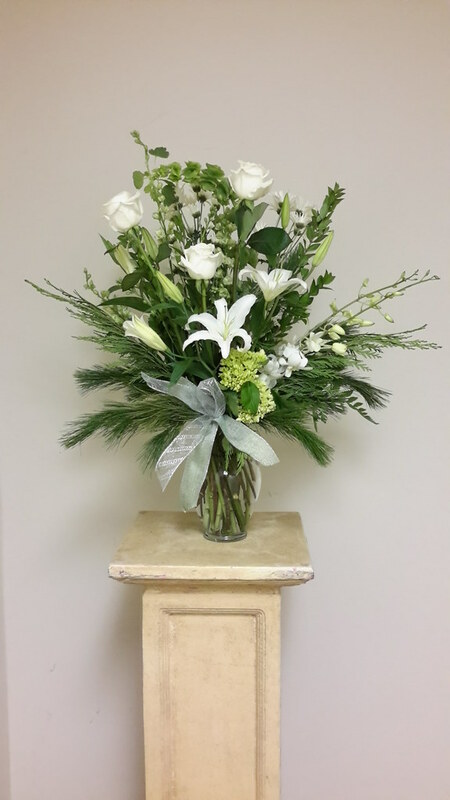 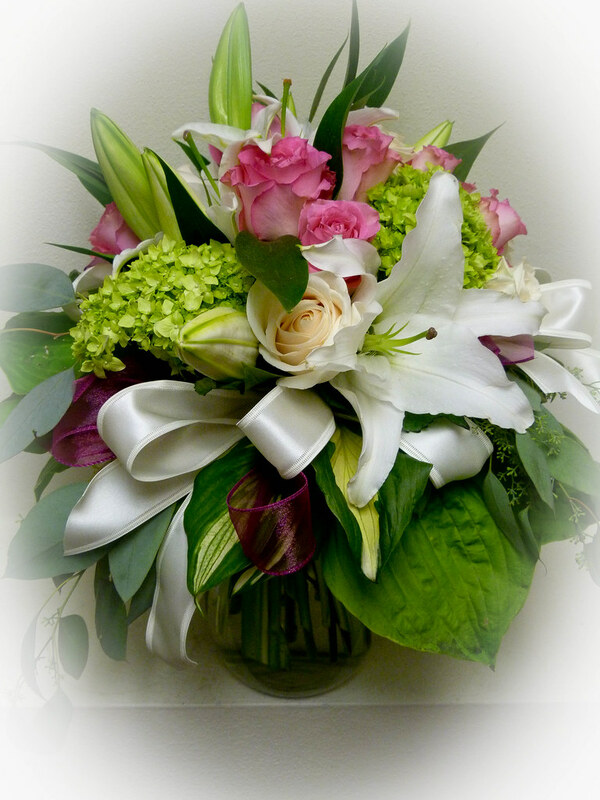 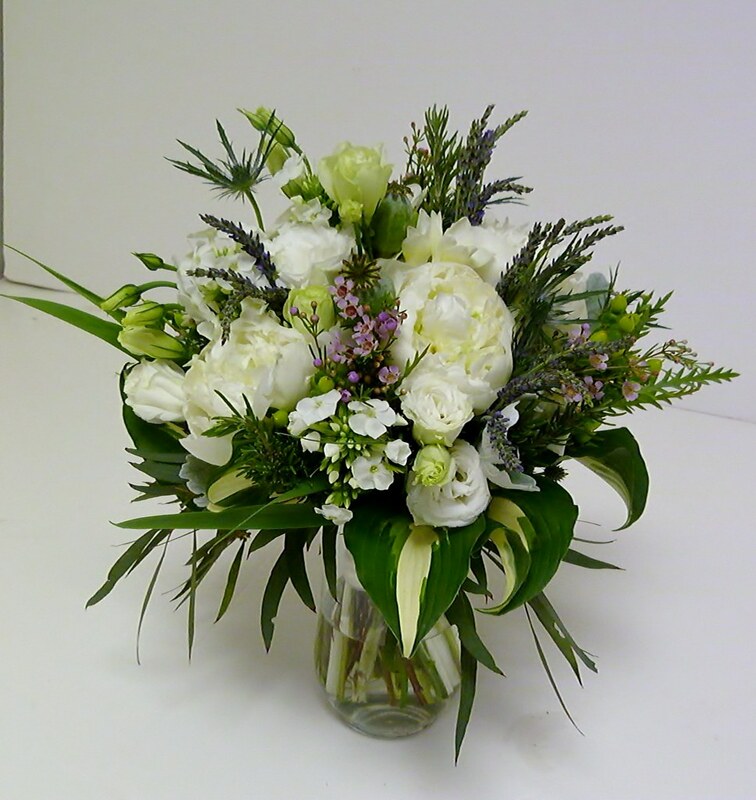 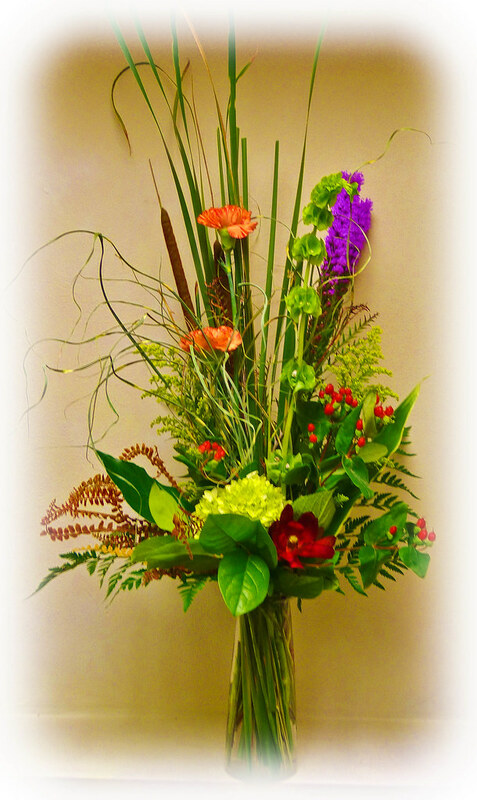 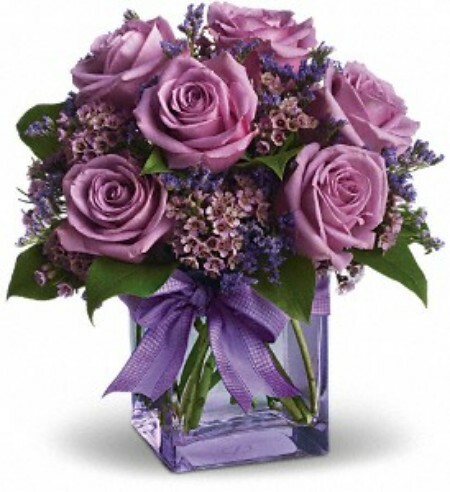 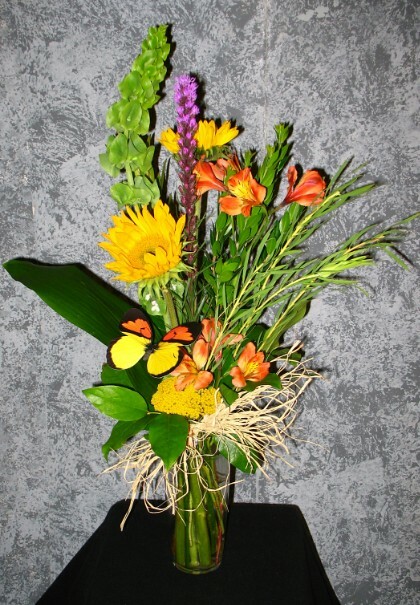 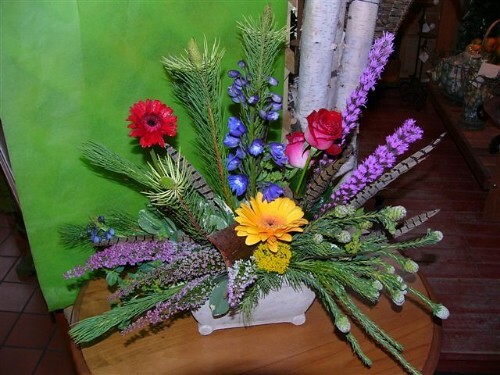 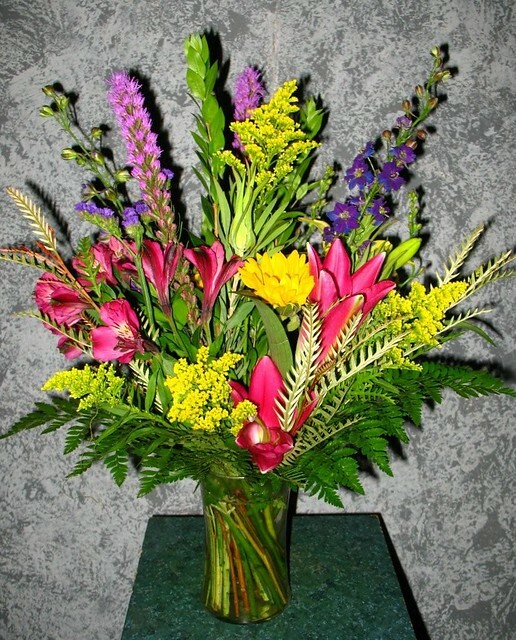 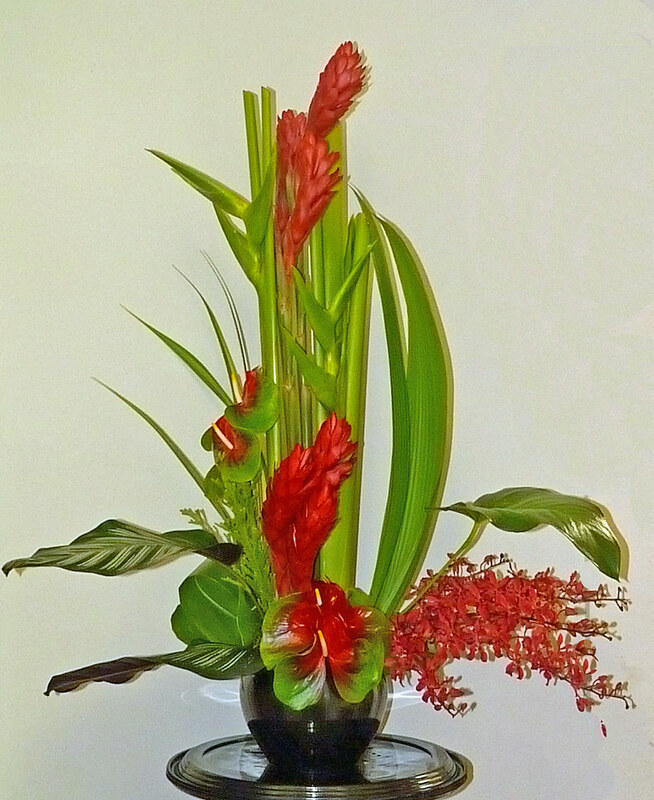 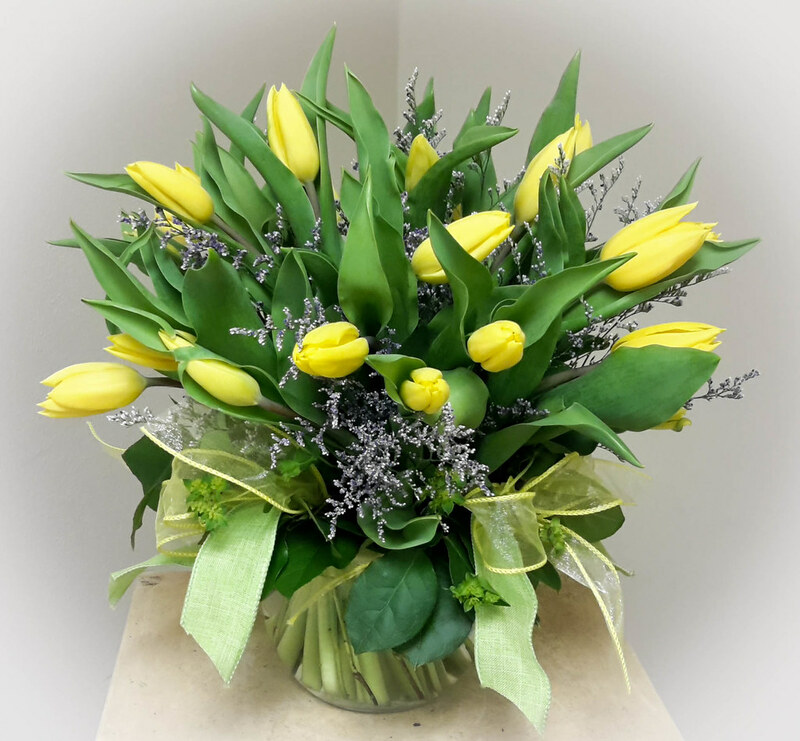 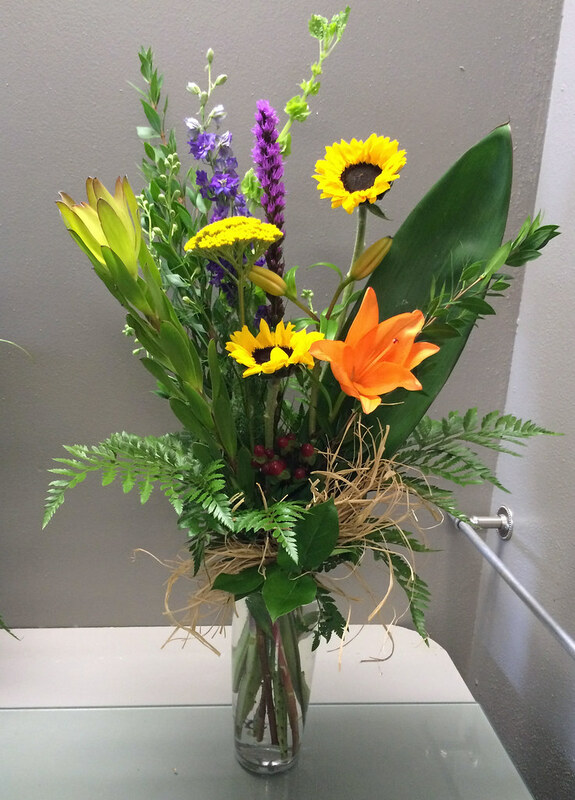 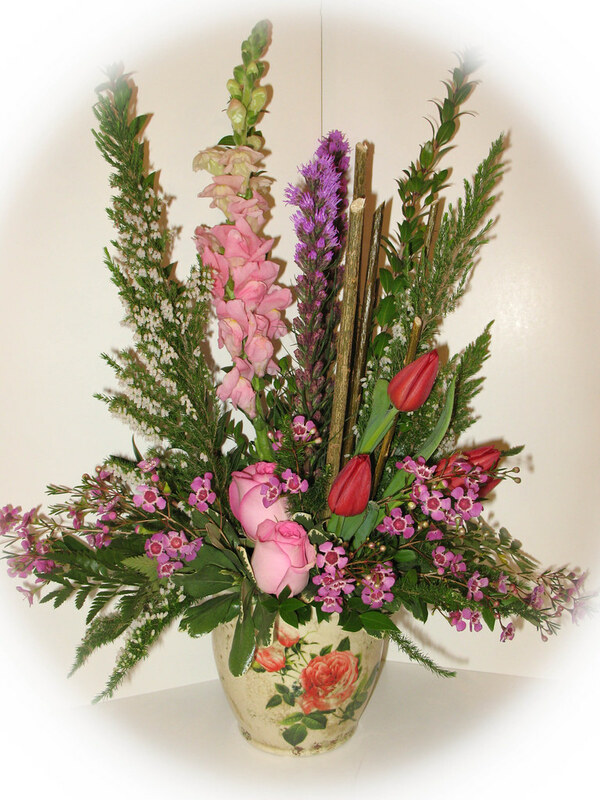 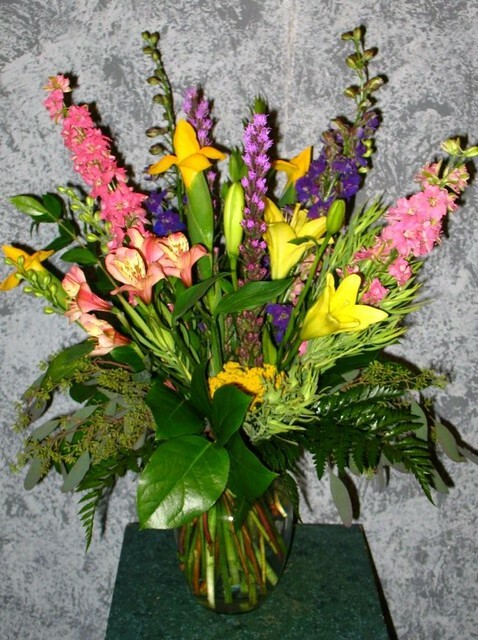 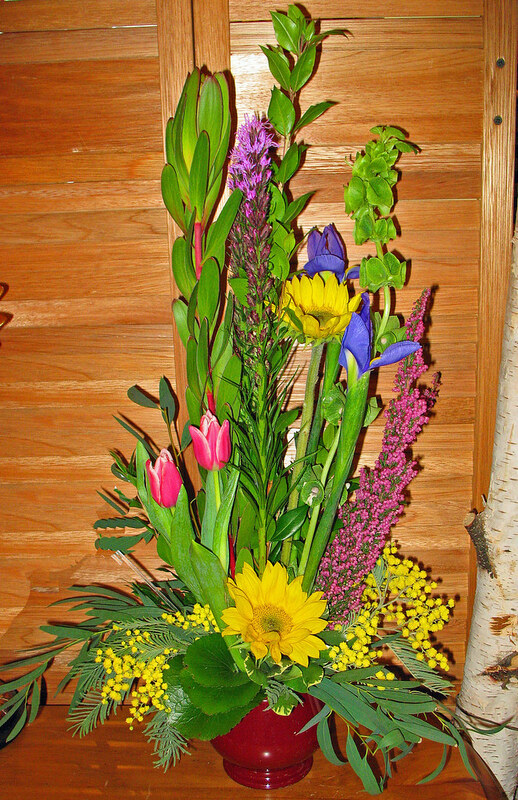 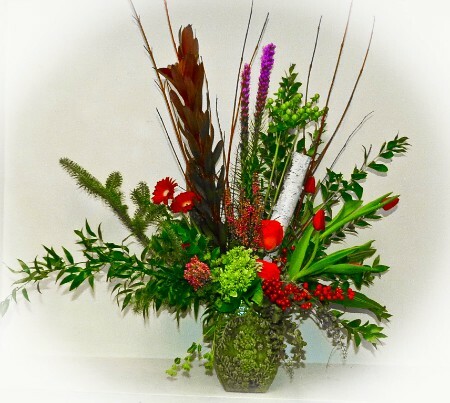 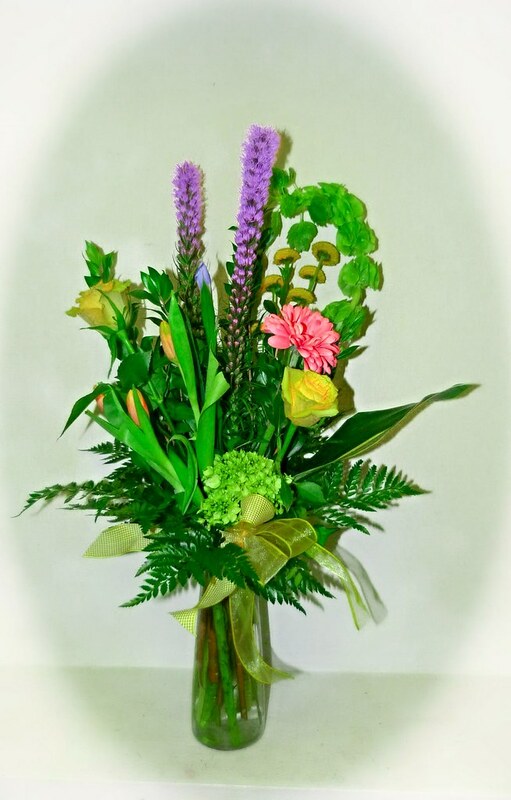 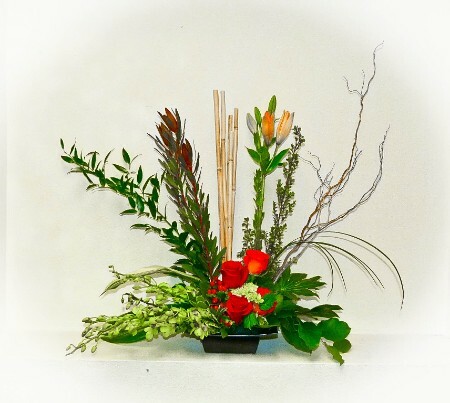 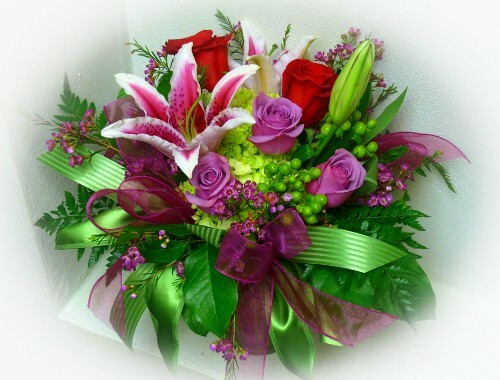 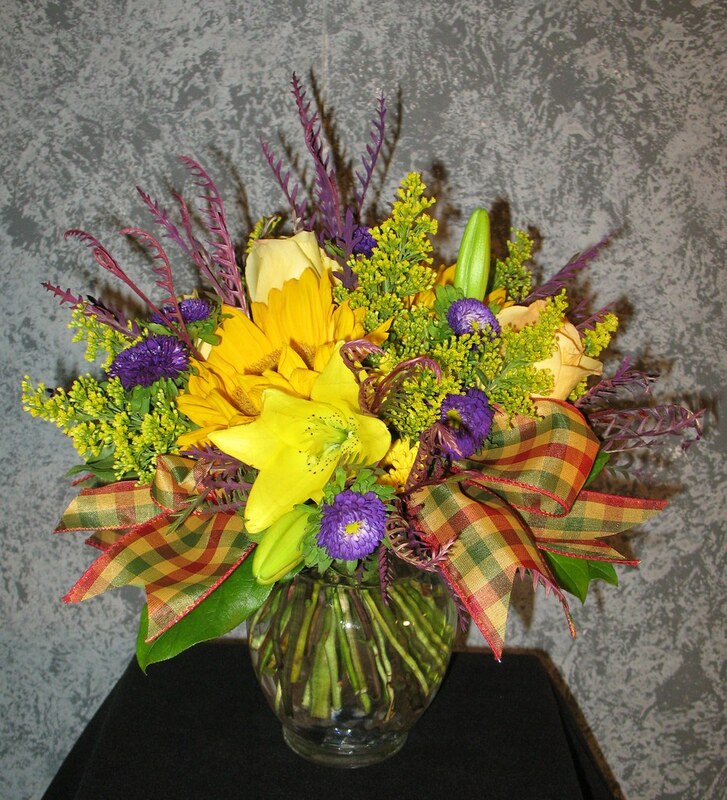 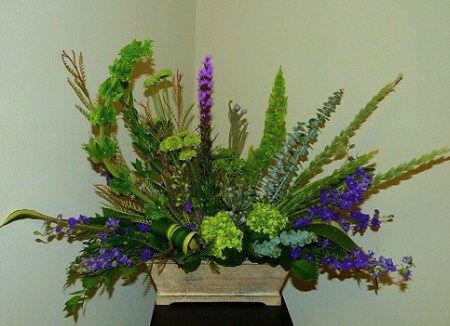 #48ED $125 Vased arrangement of Sorbonne lilies, larkspur, liatris, Bells of Ireland and dogwood branches.